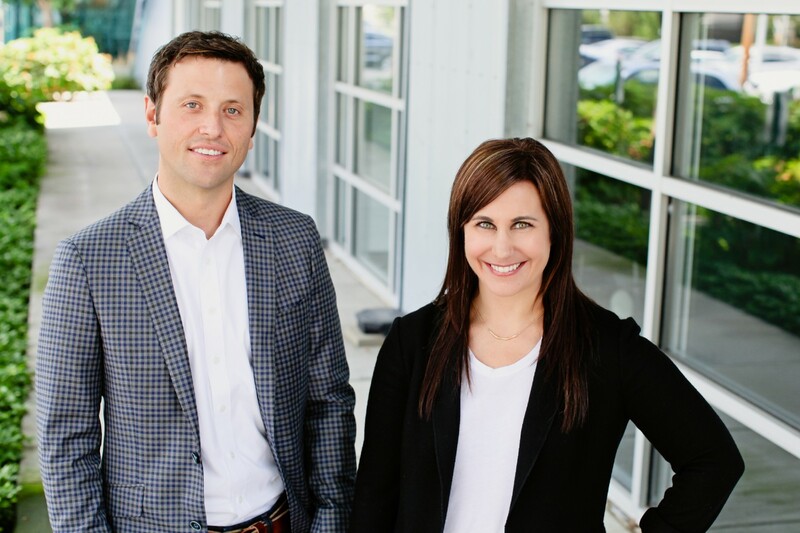 I had the pleasure of interviewing Danielle Walton and Justin Spring, who together at 28 and 27, respectively, founded Adept Marketing, a digital agency based in Columbus, Ohio focused on building digital strategies and executional campaigns that deliver measurable growth for clients. Today, Adept is celebrating its 10th anniversary and has grown into one of the top agencies in Columbus, and one of the fastest-growing companies in the country. We’re proud that our company, Adept Marketing, is celebrating its 10th anniversary this year, and it’s crazy to think about how far we’ve come as a digital marketing agency and growing company in what feels like a short time. We met in our mid-20’s when we worked together running marketing for a residential real estate company, driving condominium sales and apartment leases specifically targeting young professionals (a unique concept at that time in Columbus, Ohio).During this time,we worked with a number of marketing agencies that made big promises but did not deliver on results. We had no way of knowing (or seeing) that the work we were payingagencies to do was helping us reach our business goals. So we decided to start our own agency and do things differently, holding ourselves accountable for results each and every time. For us, it all comes down to results and accountability.Over the years, we’ve found many clients appreciate this focus and quite frankly our passion for growth. It manifests itself in fostering long term partnerships in working to grow their business together. Many agencies in this industry focus heavily on the creative portion of marketing. What makes us unique is our ability to blend creative and experience to drive conversion/acquisition. In its simplest form our focus on growth has forced us to understand a customer’s path to purchase by analyzing the data and helping companies make informed decisions when it comes to marketing spend. Our clients see this value and a return on investment quickly, and that’s why so many of them stick with us and increase their investment with us over time. As business owners we feel a strong responsibility to give back to the community. In our 10 years, we’ve regularly held staff volunteer events at local nonprofits and given financially to many organizations. But for 2018, we wanted to do things differently and find a way to give back in a meaningful way that would have a lasting impact.We launched the Adept Gives program, where we essentially “adopted” a local charity to provide pro-bono digital marketing services to the organization for a year. After a search we selected the Furniture Bank of Central Ohio, which is a great organization that provides furniture to individuals and families in need. Through donations of beds, couches, kitchen tables and more, they are really making an impact in the lives of families throughout the city. We’re excited to be working alongside with them continue this mission. Danielle: A book that I read early in my career was Rich Dad, Poor Dad by Robert Kiyosaki. It had a profound impact on my career perspective and fanned the flames of my entrepreneurial spirit. Growing up in a family of business owners, I knew that I wanted to do something on my own. But reading this book drove me to make my dream a reality. It also created a desire for me to strike out into real estate…something I have yet to do but is on my business bucket list! Justin: The book that had the most profound impact on me in the early days of struggling to grow Adept was Think and Grow Rich by Napoleon Hill. Starting a business is extremely challenging and most people fail because they quit, not because they fail. This book gave me the blueprint for controlling what I think and believe to stay positive allowing those thoughts to become reality. 1. Build your business to help your clients or customers succeed.This is our philosophy on how we’ve built our business, and can be seen through the fact that we have customers today that have been with us from the very beginning. 2. Be cognizant of your company culture from day 1. We’ve had experiences in the past where the leadership at companies we had worked at created toxic environments. We wanted to avoid that, and create a transparent, caring and accountable company culture from the very beginning. That has not changed in 10 years. 3. Your failures can become your greatest success if you are willing to learn from them and implement your learnings. Before Adept, we actually started a different business together that, due to the failed model of the national franchise, did not last. But we were able to use those lessons to make sure we structured our business at Adept in a way that would lead to continued, consistent growth. 4. Know your numbers. In the early days, we learned very quickly the importance of knowing and understanding your numbers — revenue, margin, forecasting, close rate, etc. It’s the only way to build a successful business model. If you’ve seen “The Profit” on CNBC, you know what we mean! 5. Innovation and change is a requirement. In the digital marketing world, our work changes every day. We must pay attention to it, andanticipate what’s coming next. Otherwise, we’ll be replaced by the next agency founded by people like us. In the agency world, there are hundreds of stories of 30-year-old agencies that have to close their doors because they didn’t keep up with the evolution of the space. We would argue that this applies to any industry and business, not just the agency space. Danielle: I alluded to it earlier, but I’m a HUGE fan of Marcus Lemonis of “The Profit” on CNBC. I would absolutely love to have lunch with him. Mark Cuban or Warren Buffet wouldn’t be too shabby either. Justin: I’d like to meet Elon Musk because I don’t think anyone in our time has the potential to have the same level of tangible impact on civilization as he does. Plus, I’d love to know how he balances disrupting the space, automotive, solar power and mass transportation industries all at the same time while I have a hard time squeezing in a workout.